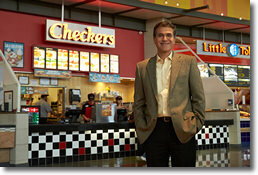 Incorporated Name: Checkers Drive-In Restaurants, Inc. Thanks to the love of our big, bold flavors at an irresistible value, our sales/investment ratio is double the industry average! * In addition, our franchisees are experiencing three consecutive years of system-wide same store sale growth. Restaurant sales are expected to reach an industry high this year of $660.5 billion. We’re a top brand with double-digit growth through the recession. Our customer ratings are highest in the industry when it comes to value for the money. Enjoy product innovation: 25+year commitment (and growing) to Guest-Obsessed© products and hospitality. 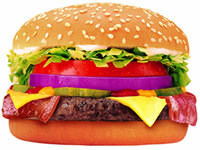 We are looking for Entrepreneurs who are looking to join one of America's most beloved QSR brands. A franchise owner can be an owner operator or have an operating partner with restaurant experience If you are looking for a strong ROI and an ability to make a difference in your local community, Checkers & Rally's is the perfect choice. 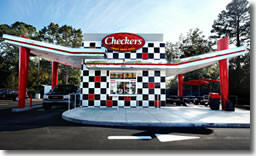 © 2013 Checkers Drive-In Restaurants, Inc. 4300 W. Cypress St., Suite 600, Tampa, FL 33607. DEV-2013-0609 *This information is based on a 2013 industry data report published by Restaurant Research LLC and comparing those results with the information we present in our 2013 franchise disclosure document. Written substantiation will be provided on request. Checkers & Rally's Restaurant Inc is currently accepting inquiries from the following states: Texas, Tennessee, Pennsylvania, Ohio, North Carolina, Maryland, Louisiana, Illinois, Florida, California. Enjoy the tastiest parts of the food chain.